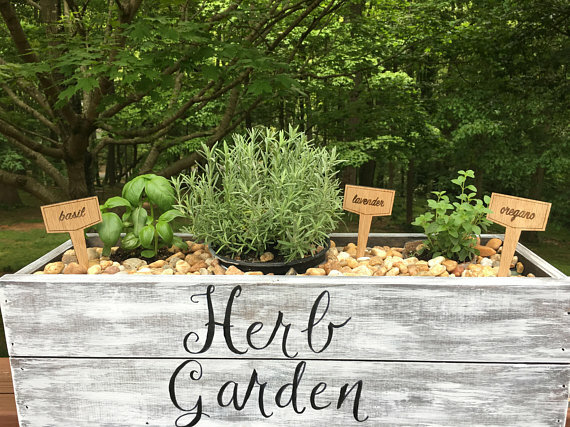 Build an herb box with just one board! | Als Ik Kan Designs – Woodworking, Crafts, and More! What do you need to paint wine glasses? 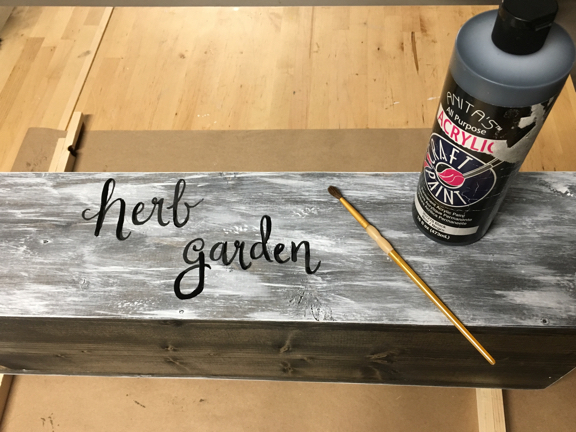 Build an herb box with just one board! We recently built the herb box below to display the garden markers we sell at local craft fairs. Many of you have asked us to share instructions on how to build one, so we created a design you can build from a single board. It’s a great afternoon project… really, just a couple of hours! (Writing this blog post took way more time than making this herb box.) If you have a saw, paint, and some nails lying around, it will cost you less than $10 to make! 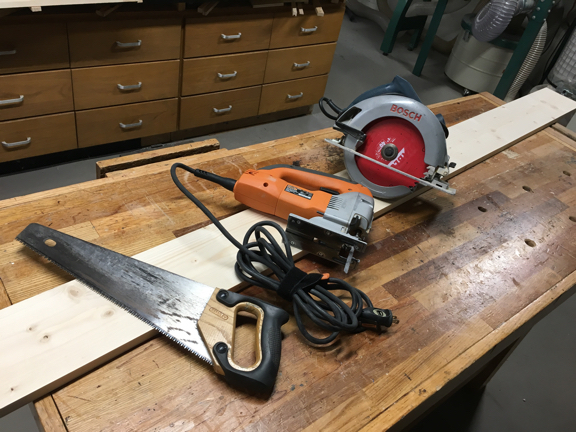 To begin, cut 3 pieces 24″ long for the bottom and the sides. 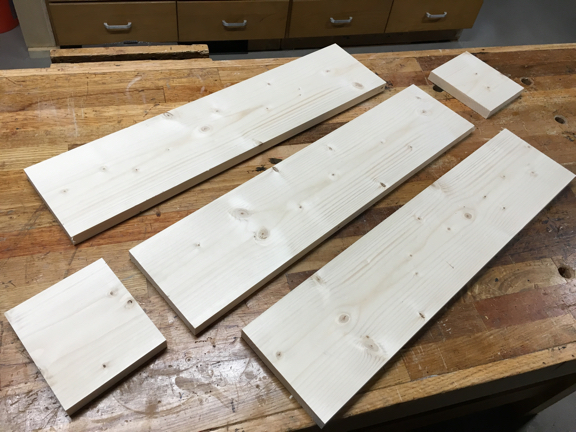 Cut 2 pieces 4.75″ long for the ends. Drill holes along one side of two of the longer boards. 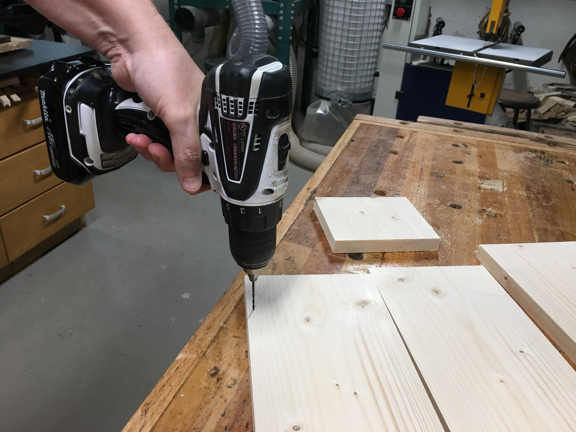 Pre-drilling the holes keeps the boards from splitting when you use your hammer and nails to build your box. 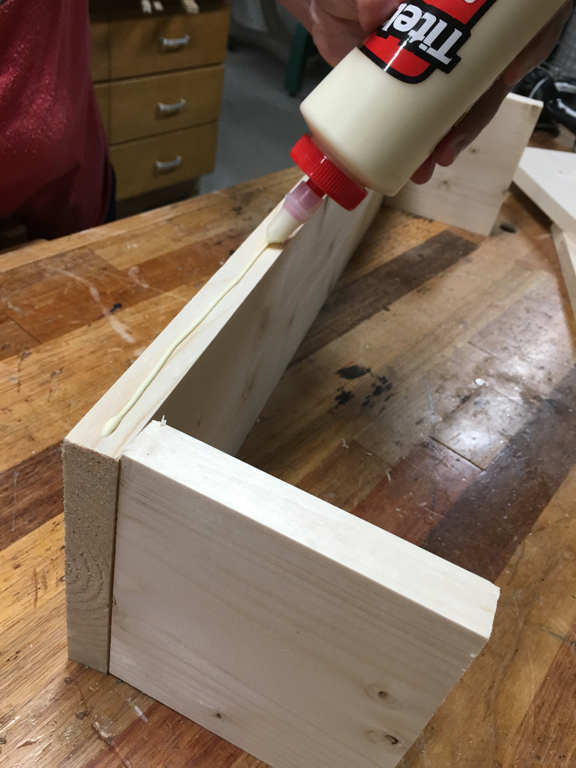 Spread glue along the edge of the bottom piece. 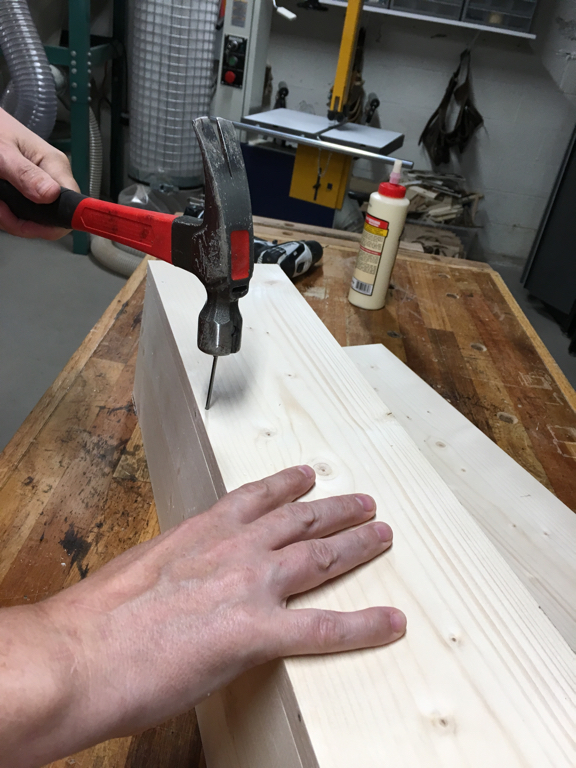 Line up the board with the holes over the edge with glue. Hammer in 3 nails along this edge. 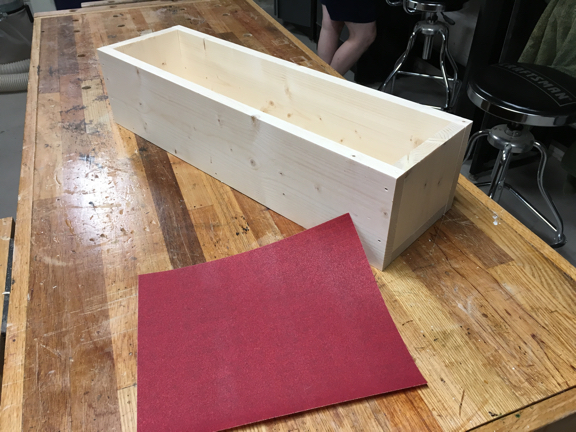 Repeat this step for the other side of the box and the ends… using glue and nails. Sand the edges smooth with 150 grit sandpaper. 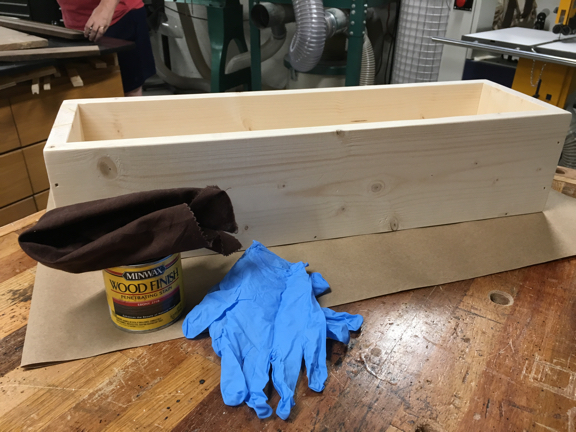 Stain the box a dark color. Use gloves to protect your hands. Wipe off any excess. 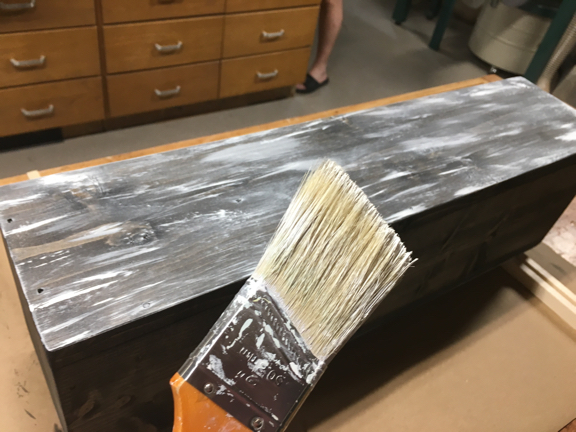 After the stain has dried, use some white paint and an old brush to get a rustic look. Put a very small amount of white paint on your brush and swipe along the sides and edges. Your brush should be very dry (hardly any paint)… you can always add more later. Notice how dry my brush is… hardly any paint. Find a hand lettering style you like on Pinterest and print it out. 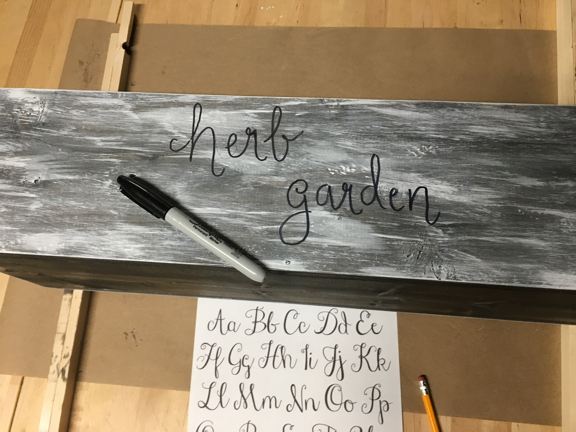 Using a pencil, write “herb garden” or your favorite saying on your box. If you need to change, adjust or fix it, just erase! Now go over your pencil mark with a permanent marker. Notice how the hand lettering has a thick and thin style? 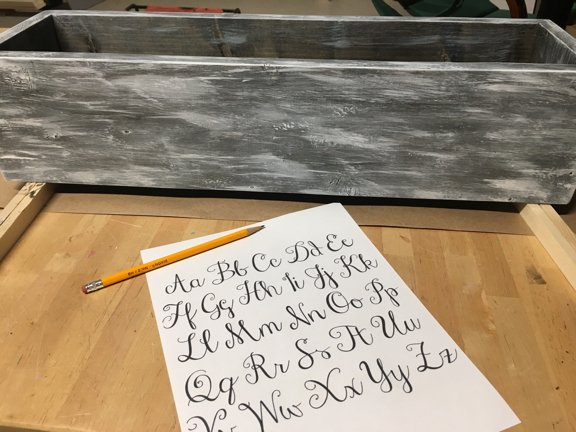 Use a small brush and black paint to thicken your letters where they need it. 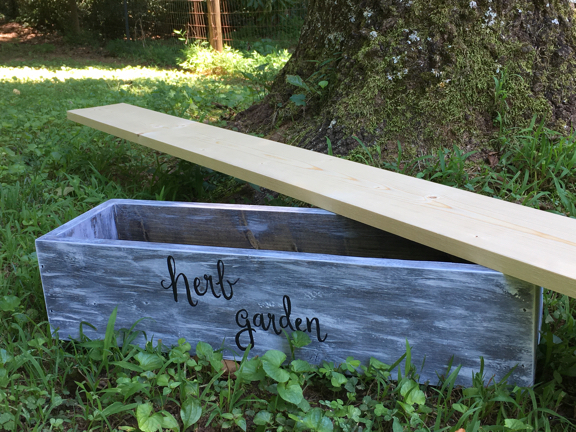 Now you have a rustic herb garden box made from one board. All you need now are some plants, dirt, water, and a pretty spot to put it! If you like this post, say thanks by sharing it! Subscribe to our newsletter and we will send you a 10% off coupon code to use! We will send you occasional updates on DIY projects, helpful tips and share new products we are creating. 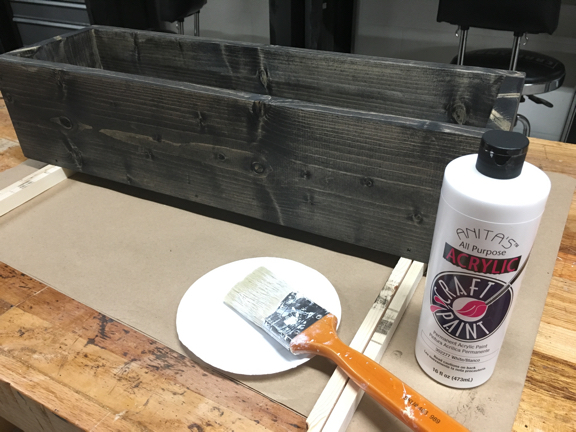 Need help you with your DIY and one-of-a-kind projects? Have a question? Use our contact form to send us a message. Check out some of our amazing clients who DIYed their Mickeys! 10 fun and easy ideas for your own DIY Disney cruise door decoration!